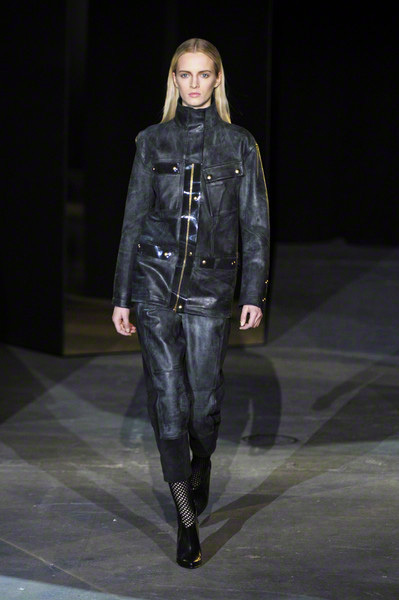 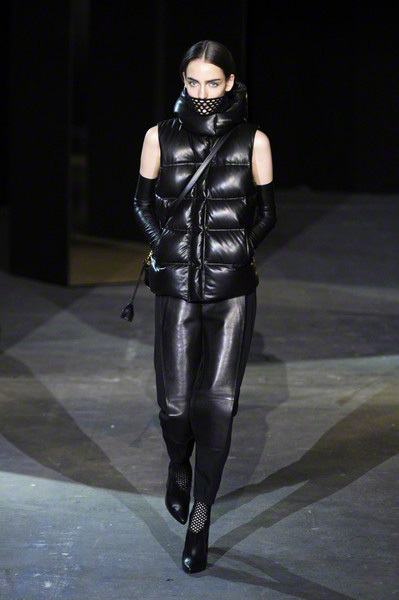 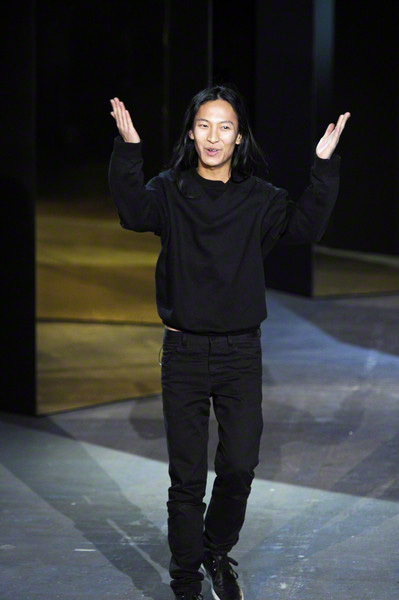 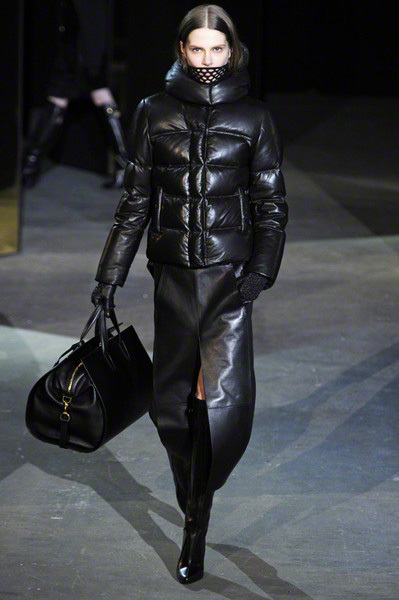 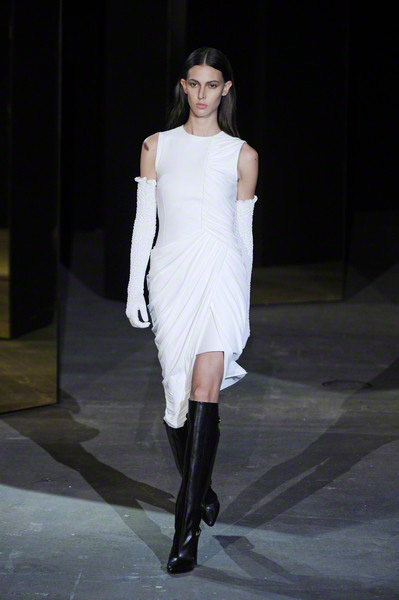 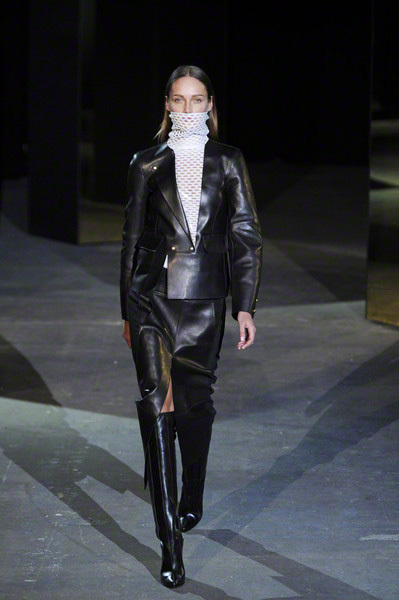 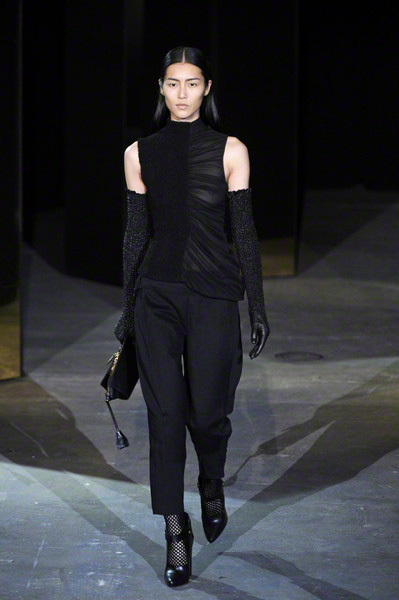 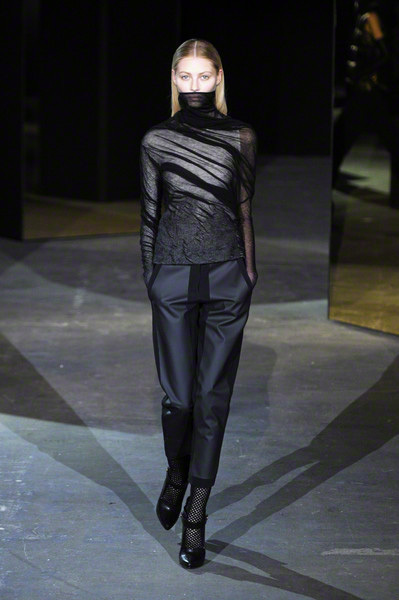 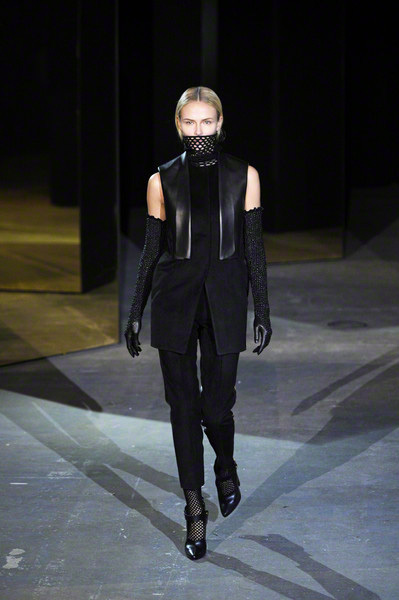 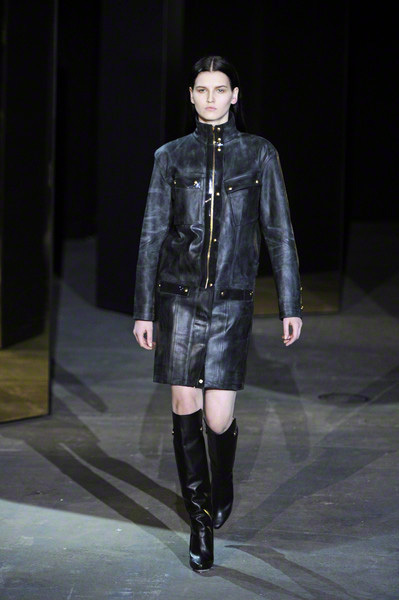 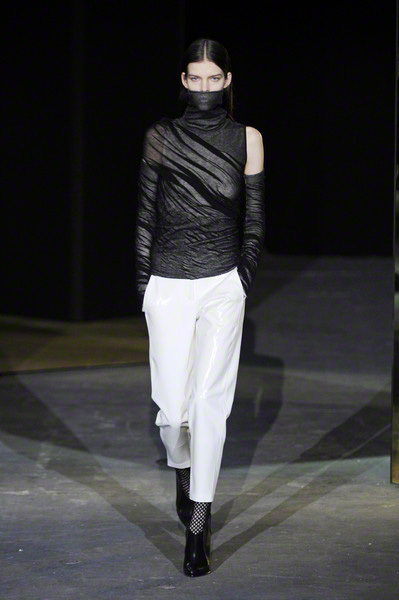 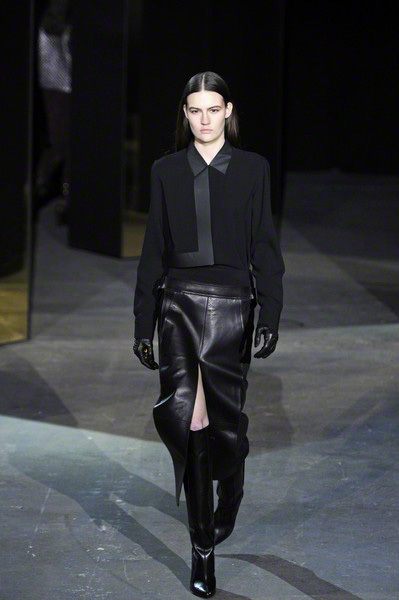 That was a dark show and a tough and sharp fall-collection Alexander Wang presented yesterday. 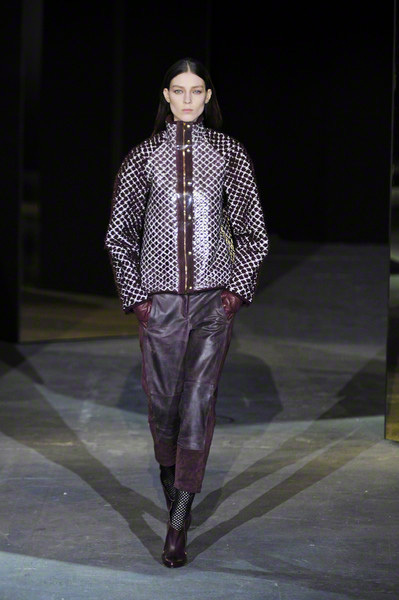 Again Wang played with perceptions by manipulating his fabrics. 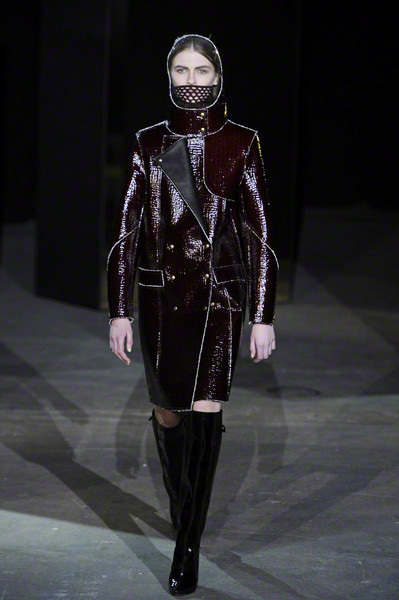 Fabrics looked stiff and shiny, the palette was white, black and a bit of oxblood. 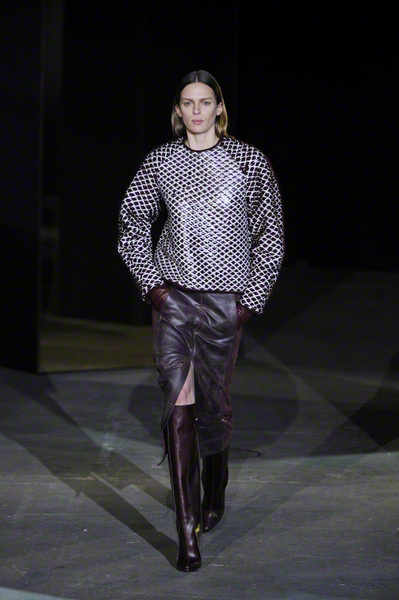 The silhouette was graphic, with lacquered merino wool tweeds, waxed suedes and shrink wrapped-jacquard knits. 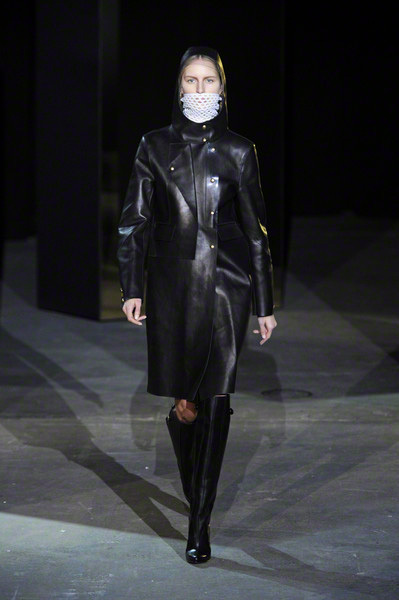 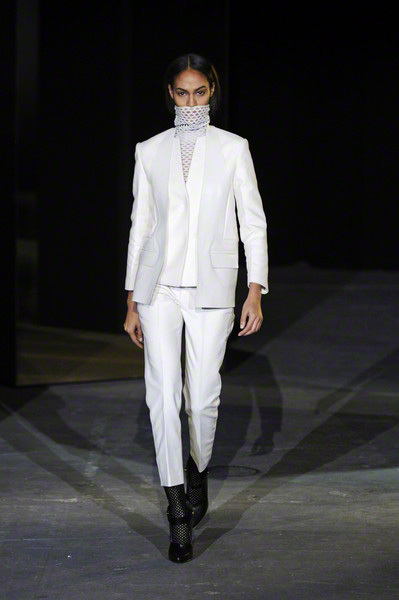 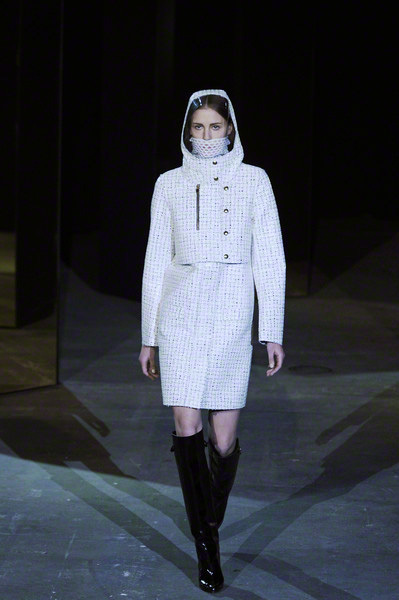 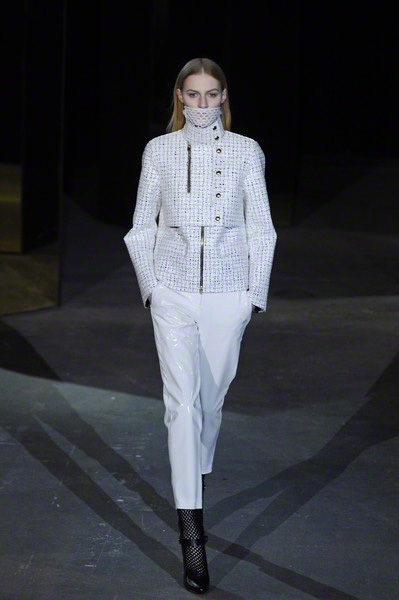 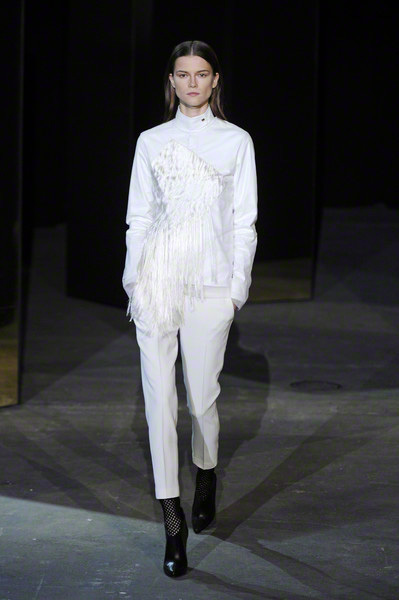 The first look was a boxy, white lacquered tweed raincoat with a round helmet of a hood. 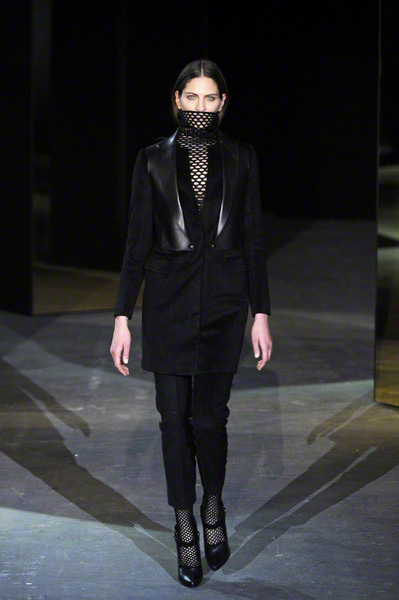 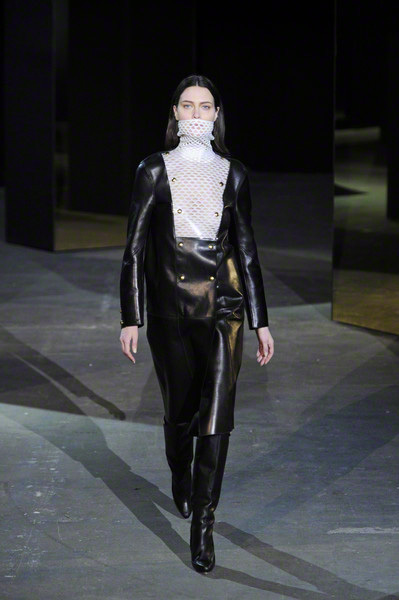 Under it, a fishnet turtleneck was pulled up over the model’s mouth. 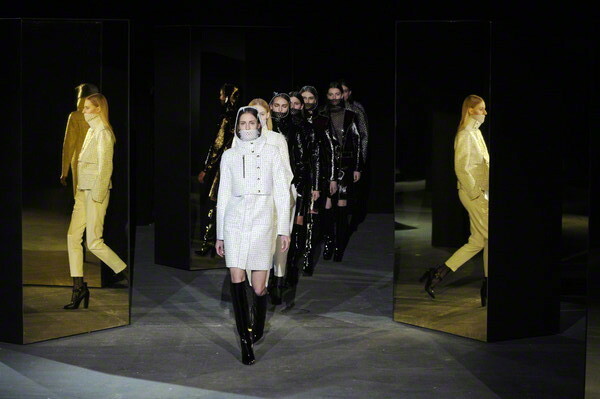 Sometimes it reflected a mood of chic aggression. 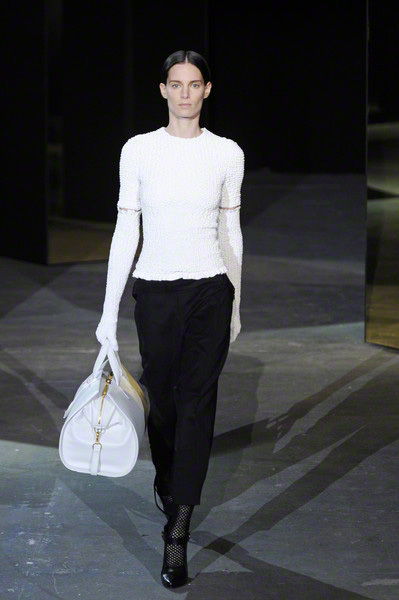 After the models took their final walk, the lights changed and out came a more elite and elder pack of models, including Shalom Harlow, Karolina Kurkova and Gisele Bündchen as the finale. 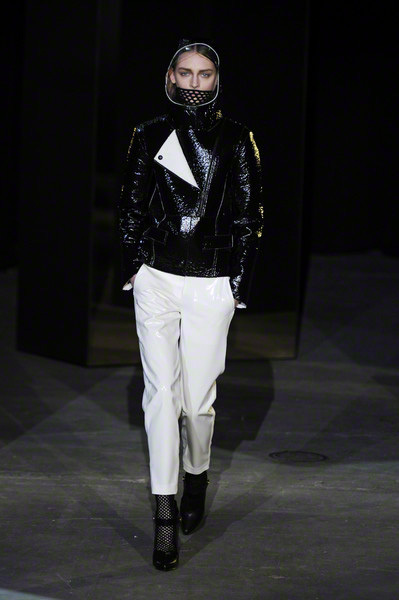 The looks they wore were the same but with less shine, more refinement and more tailoring.